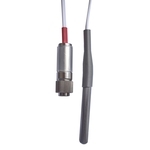 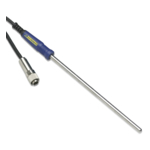 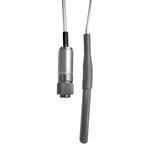 PT1000 probes are typically used for very low temperature applications such as freezers and cryogenic monitoring. 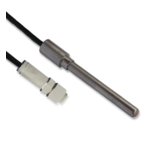 However some of our probes temperature go up to +250°C, which makes them also suitable for incubators and cook-freeze applications. 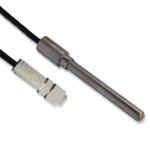 The flat cables models listed below use a high specification resin and a unique manufacturing technique that allows both the sheath and the cables to be exposed to their full temperature range, being ideal for applications where the cable needs to pass through equipment doors, such as fridges and freezers, without compromising their integrity.